The SlotsMagic casino has resulted from the re-branding of the site previously known as Jackpot Party. This was a popular and well-regarded site anyway, and the new layout and tweaks should help increase its popularity under the new name. First impressions of the Slots Magic site are good, with the home page looking fresh and interesting. The main section is made up of links to some of their top games. There is also a list of recent winners, the current figures for the progressive jackpots and some very nice graphics. Some of the features being heavily promoted on the home page right now are the live dealer games, the Wizard of Oz slots game and the Elvis The King Lives slots. As we have just seen, SlotsMagic is one of the casino sites now offering live dealer casino games. In this case, the games covered are baccarat, blackjack and roulette. 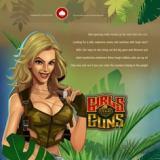 Apart from the live dealer games, there is also a big selection of other titles to check out as well. The variety of slots on offer is especially exciting. As well as those new games we just mentioned there are plenty of other top titles on here as well. Cleopatra’s Secrets, Irish Eyes and Ghost Pirates 3D are among the games to look out for. In terms of other casino games, you will find all the classics such as roulette, video poker and blackjack on offer. The slots games are probably the biggest draw here – as the name of the site suggests –but there are other attractions to keep you playing. The promotions section on any online casino site is always worth visiting, to see in what ways you could pick up some free money. The new player bonuses are usually among the best and this is definitely the case with SlotsMagic. The welcome bonus on this site gives you a total maximum of £2500 spread over your first 4 deposits. This breaks down as a 100% bonus of up to £1000 on the 1st deposit and 50% up to £500 on the following three. There are also a number of other promotions that appear on the site from time to time, with the VIP and Loyalty promotions being especially useful. This is a quality casino site that offers a lot of games and a welcoming playing environment. If you were already familiar with Jackpot Party then you can expect a slightly better version of it on the new site. If you never tried the old site before the update then you will find a good place to place some casino games in a safe and trustworthy setting. Danish, Russian, Czech, Swedish, Norwegian, Portuguese, Romanian, French, Spanish, German, Slovenian, Finnish, Italian, Dutch, Croatian, Polish, Turkish, Greek, Hungarian, Bulgarian and English.